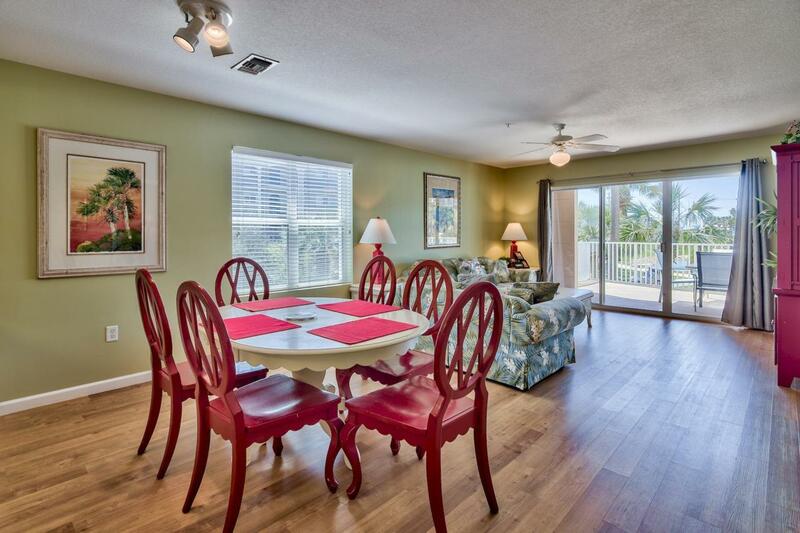 Come see the best value in all of Amalfi Coast Resort while you can! Unit 128 is an End-Unit that offers additional natural lighting the interior units don't convey. 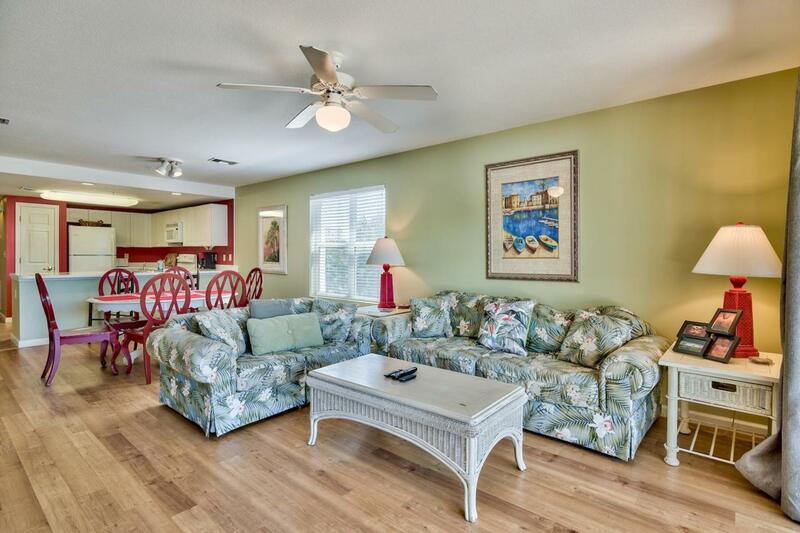 At 1,360 square feet, it's one of the most spacious 2 bedroom floor plans in all of Destin- making it a great rental, second home, or primary residence. This unit is sold fully furnished and has a great rental history with conveying bookings for 2019. Just a few of the numerous highlights and updates to the unit include: New AC unit in 2016 with a 10-year warranty, Refrigerator and Stove in 2018, Water Heater and Garbage Disposal in 2017, New LVT Flooring and Paint in 2016, two very spacious bedrooms, a bunk area, open kitchen/living area perfect for entertaining, separate laundry room, and much more! This unit also...offers one of the largest patio balconies which faces West allowing for wind protection and sunset views! 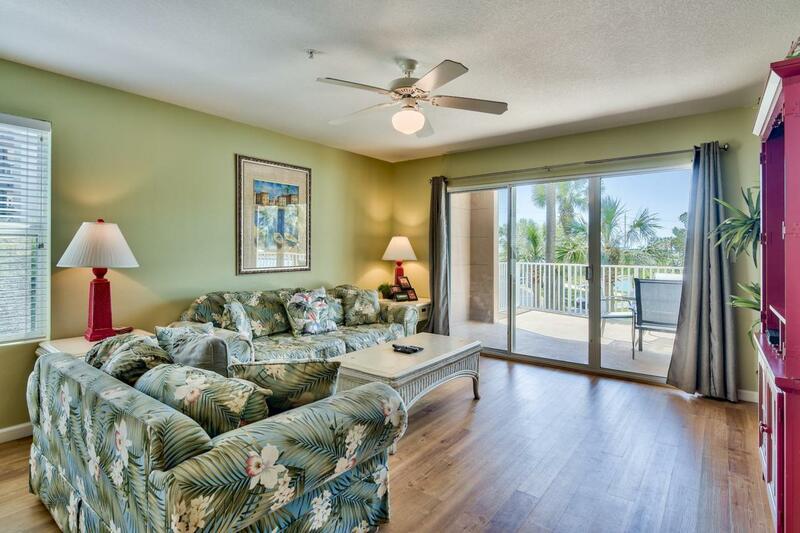 Amalfi truly stands out from other condos in the area and features- 8.6 acres of tropical landscaping with a beautiful pond, gated entrance, two pools, elevators, two lighted tennis courts, basketball, an owners conference room, and workout facility! Unit 128 has a conveying owners storage cage and an additional owner's closet inside the unit. 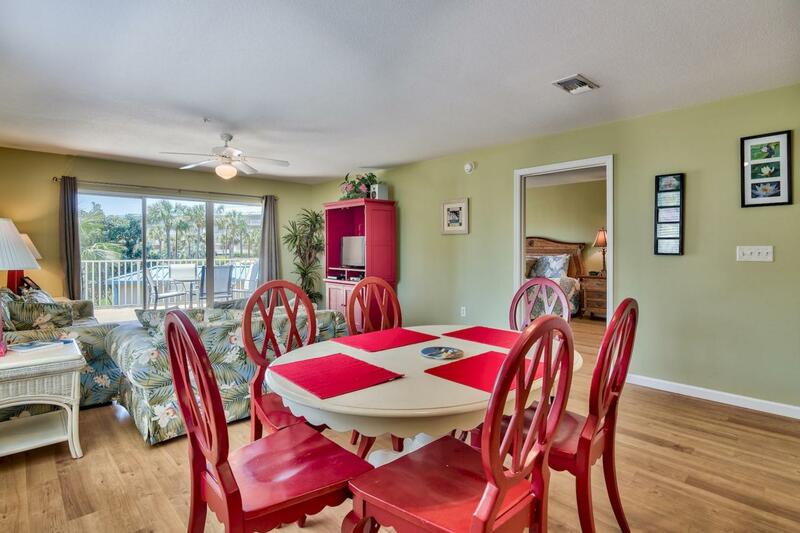 This unit is priced to move and conveniently located on the first floor, making for an easy walk to the beach! Call today for more information or to set up your viewing.